Dredge Jaizkibel at Ondartxo Shypyard, Pasajes, Spain. Still under restoration works at a beautiful and interesting location at the narrow Pasajes access channel. Jaizkibel service life: working since 1933 up to 1984 (51 years) at Pasajes port and access channel. Declared of cultural interest monument in 1992 for preservation. Thanks to the yard people allowing me to use the camera inside. 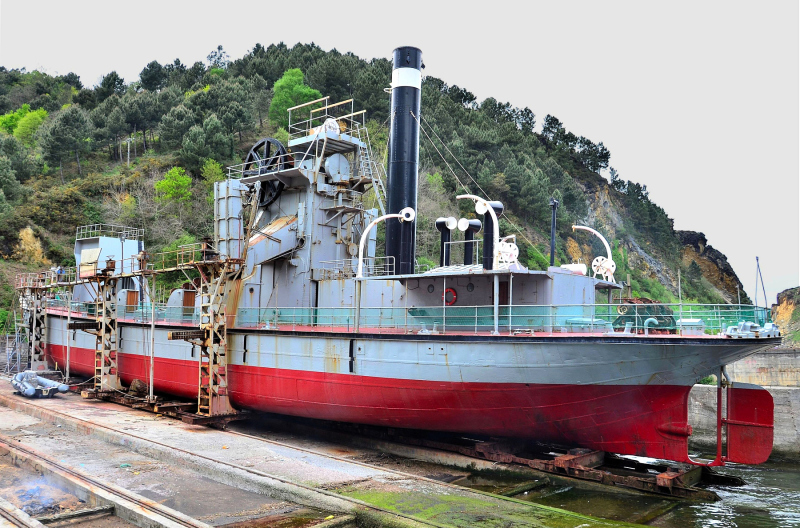 Built 1933 at Euskalduna Shypyards, Bilbao, Spain. L: 60,20 m, B: 10.50 m, D: 4,00 m.
This photo has been shown 3,982 times since it was added to the site.